16 years after his main band Mono started, Taka felt it was time to release his first solo release. Classical Punk and Echoes Under the Beauty was already written and recorded in 2003 but not completely finished. Finally it sees the light and of course the sound is closely to his main band Mono. It has less grandeur and bombast; stripped down to fragile pieces of Classical Music and Postrock played with Japanese perfectness. With composer Taka you expect the best and of course you get the best. In ‘Delicate Madness’ he directly sets the standard high with the piano and violin introduction while the drums take you on a melancholic path where beauty never is far away. The album evolves as a soundtrack of Taka’s life full of ups and downs. Some parts are calm; however furious and intense climaxes are never far away such as he does in ‘Till the Night Comes’. The organic production of the album makes you feel if a guitar player, violinist and a drummer are playing a piece in your living room. The melodies are surrounding as if you are in the middle of a fictional band. 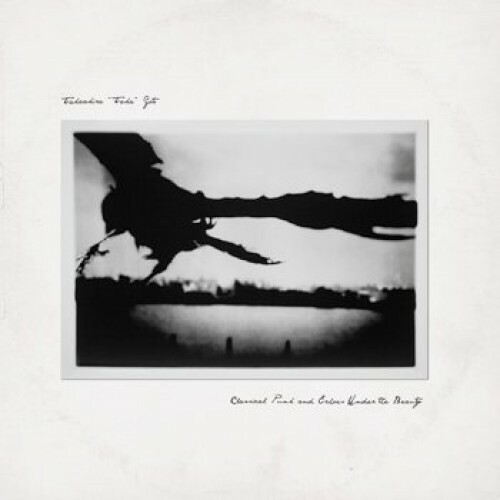 Later two short classical music intermezzos in the vein of Olafur Arnalds bring rest in the waves of Postrock while the last song ‘Trenchi No Ibuki’ is a mixture of dark classical music with a looped sample played backwards. This Japanese artist can be proud of the piece of art. While moving between intense walls of guitar to violin parts or piano in the same song Taka never takes the same trail as thousand other artists did. Classical Punk and Echoes Under The Beauty never sounds polished and artificial. The recording of 2003 is just remastered and that’s it. The man made a wise decision to not change anything. Less is more!